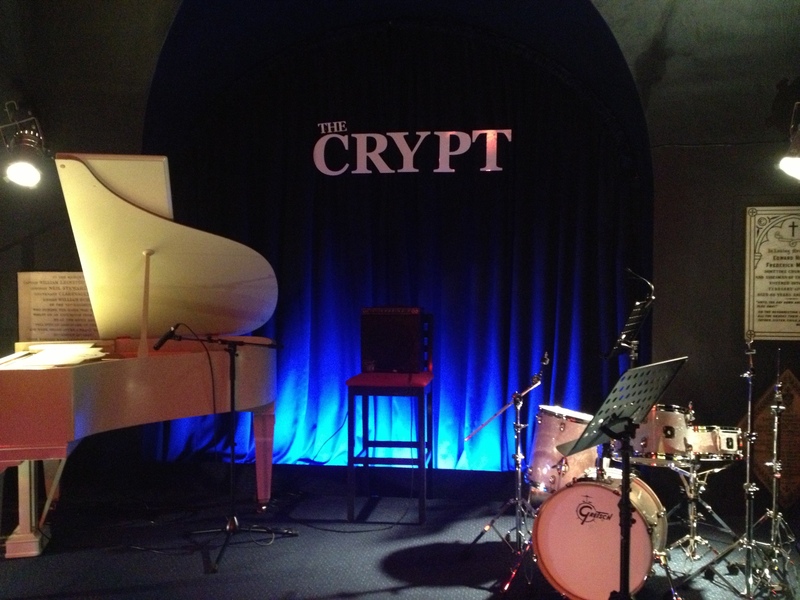 Restaurant Review: The Crypt Jazz Restaurant jazzes up Cape Town, service needs to be jazzed up! 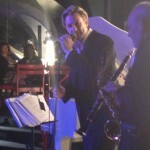 A chance notice about Ike Moriz performing at the recently opened The Crypt Jazz Restaurant below St George’s Cathedral last night caught my eye, and turned out to be a most enjoyable evening, with excellent music and ambiance, live jazz being on offer five evenings a week. The service was sadly lacking. The termination of the lease of the coffee shop which previously operated in the space led the Dean of St George’s Cathedral to contact Mario Thompson, the first owner of Gourmet Burger, which he had sold on to the owners of the ex-Caveau around the corner. 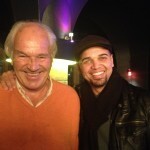 Simultaneously the Dean had been approached by Derk Blaisse, a jazz lover from Franschhoek, and leader of the Cape Dutch Connection, which has entertained Franschhoekers for years, and also performed at the opening of Whale Cottage Franschhoek nine years ago. The rest is history, and the two co-owners look happy together. 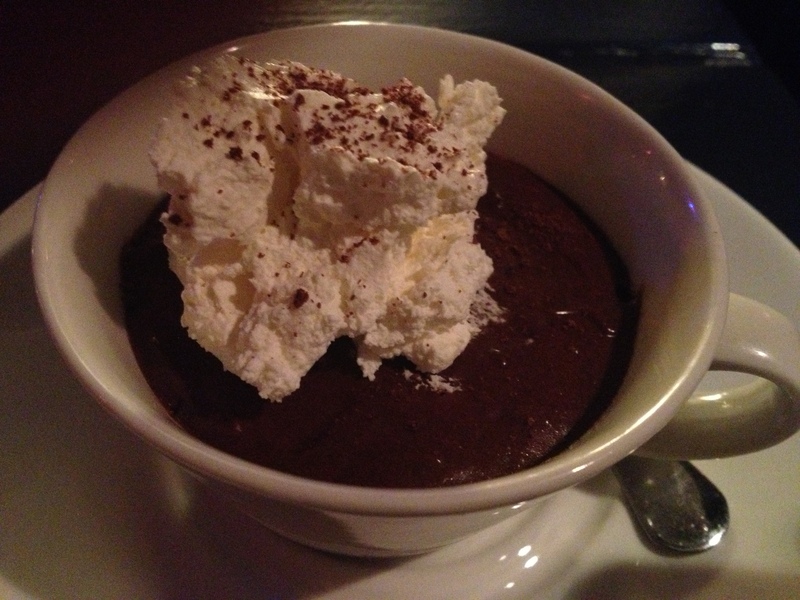 Mario is on the premises every day, and we were lucky to see Derk last night too, radiant about his new venture. Mario sat with us, and shared that he has been an Analyst, moving onto the hospitality industry. He is a ‘disciple’ of Raymond Ackerman’s style of doing business, mainly focused on ‘hearing the customer‘ speak, and running his business with honour and integrity. Mario did the interior, putting in the bar, did the lighting, and created the window seating, choosing midnight blue for the walls and lacquer table tops, with contrasting red for the cushions, serviettes and chairs. The columns inside the venue can block one’s view of the stage, so it is best to arrive early to get a good table (the music starts at 19h00 on weekdays, and at 20h00 on weekends). Derk and Mario agreed with the Dean that the venture would be run in the spirit of the Cathedral being a house of worship, not making it a club, and drunkenness not being tolerated. 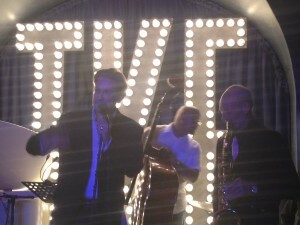 Their venue is a Jazz Bar and Restaurant, in which one can enjoy music, drink, and food. Diane Rossi (wife of Mike Rossi, Professor of Jazz and Woodwinds at UCT) organises the scheduling of the jazz performances. Last night was a first for the venue, in having Ike use it to launch his latest CD, and the full venue on a Tuesday night created a great buzz and atmosphere. Ike was a big hit, amongst the ladies in particular, with his blond good looks. We heard that he is married to Nataniël’s sister, and that their baby was expected to be born last night. 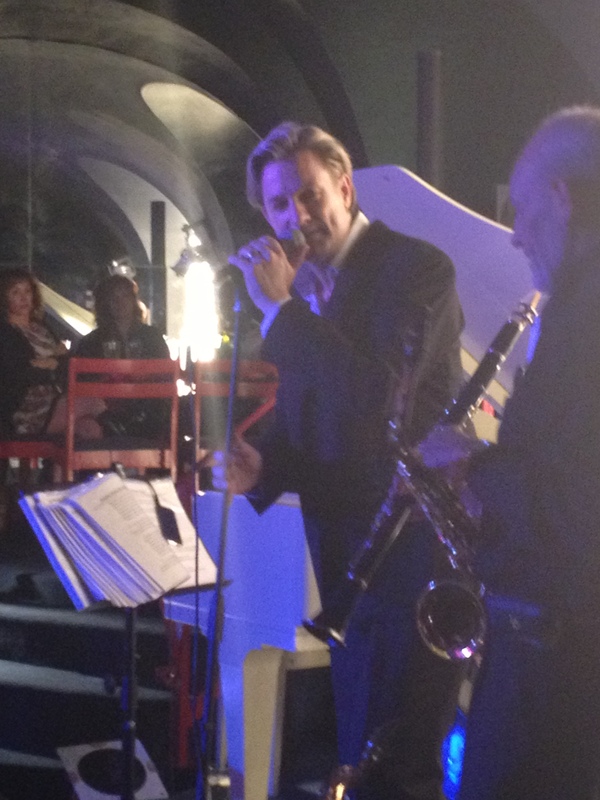 The Crypt showed its versatility when a power failure blew out the sound and lights at the stage, in that jazz lovers from the audience got up, and put on a highly appreciated impromptu performance. We were told that Ike was launching his 13th album ‘Siren Terpsichore’, and will be performing at the SA Wedding Show at the Cape Town International Convention Centre in just over a week, at the Palms Market on Saturday mornings, at Searle’s in Greyton, and regularly performs at wine estates. We met his friend, who shared that Ike has had roles in ‘Alfie‘ and in ‘Love Actually’. The menu is neatly presented in a blue cover, and includes the winelist. The food items are presented according to a musical theme. The ‘Medley of Tastes‘ is a collection of tapas, with two choices: baba ganoush, chicken liver paté (this had run out by the time we ordered it at 8 pm!) and hummus; and guacamole, grilled tomato salsa, and red pepper dip, both costing R28. The Overtures of starters were reasonably priced, none costing more than R45, and included Caprese on skewers; spicy prawn skewers; black mushrooms and crème fraiche (my second choice); vegetable spring rolls; BBQ chicken wings; mini quesadillas (tortillas); and spicy prawns in a shrimp broth (for which we were charged R80 instead of R45, in error!). The Signature Notes’ main courses range in price from R85 – R115, with grilled steak, chef’s lamb of the day, Hunter’s chicken stew, linguini al pomodoro, beer battered fish (hake), and the Gourmet Beef burger. 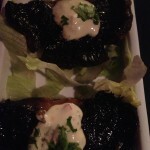 Not surprising is that the Chef is Andre Daniels, who worked with Mario at The Gourmet Burger. 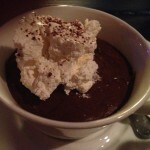 The ‘Sweet Melodies‘ range in price from R30 – R40, with a short and sweet list of desserts: pears poached in red wine and blue cheese gratin; a rich chocolate mousse and Grand Marnier (could not taste it) with cream; and lemon mousse with cream. The winelist is dominated by Franschhoek wines, not surprising given Derk’s connections with the local wine estates. Sparkling wines listed are L’Omarins Brut Classique (R175), and Graham Beck Brut Rosé (R200), while Mumm Cuvee costs R790. White wines are very affordable, ranging from R85 – R140, Allée Bleue Starlette 2012 being the house wine (R85 per bottle, R50 per carafe). La Motte Sauvignon Blanc 2012 costs R35/R130, and Thelema Sutherland Sauvignon Blanc 2012 costs R140. Chamonix Rouge, a blend of Merlot, Cabernet Sauvignon, and Malbec, is the red house wine, at R90 per bottle and R60 per carafe. Shiraz wines on offer are Porcupine Ridge 2011 (R30/R95) and Waterford Kevin Arnold Shiraz 2009. I loved the honesty of Mario, who picked up some service problems from ourselves and other tables, and described his service staff as ‘competent’, acknowledging that they need more training, the port ordered having been forgotten, and being overcharged (which happened to another table too). His approach was that he looks forward to all feedback, so that he can make improvements, a refreshing approach. A strong line-up of jazz performers has been on stage already, including Sathima Bea Benjamin (Abdullah Ibrahim’s ex-wife), Amanda Tiffin, Melanie Scholtz, and Shane Cooper. 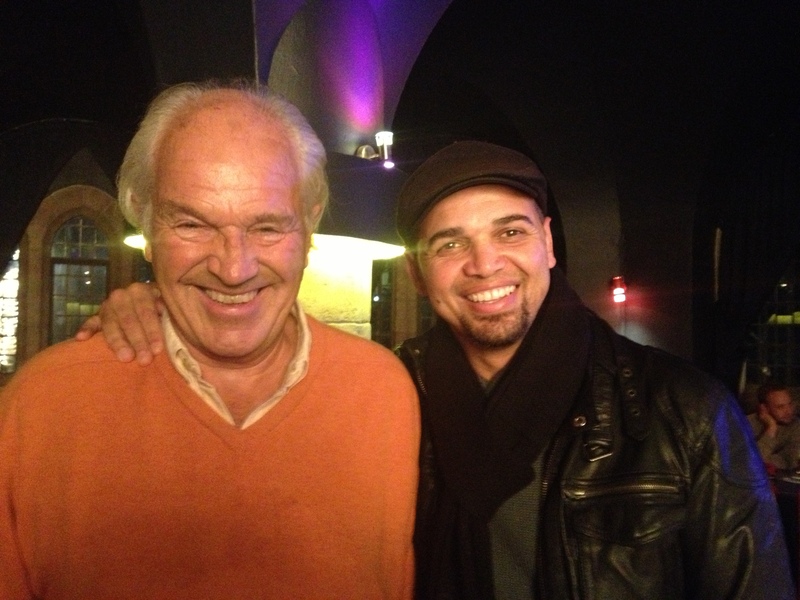 Mario is working on getting Hugh Masekela and Darius Brubeck to perform at The Crypt. We had a fantastic evening, not only in listening to the great music, but also in meeting Mario, seeing Derk again, meeting two of our blog readers, and bumping into Coenie Visser from Greyton. The standard of food and service should be raised to meet the quality of the jazz which is offered. 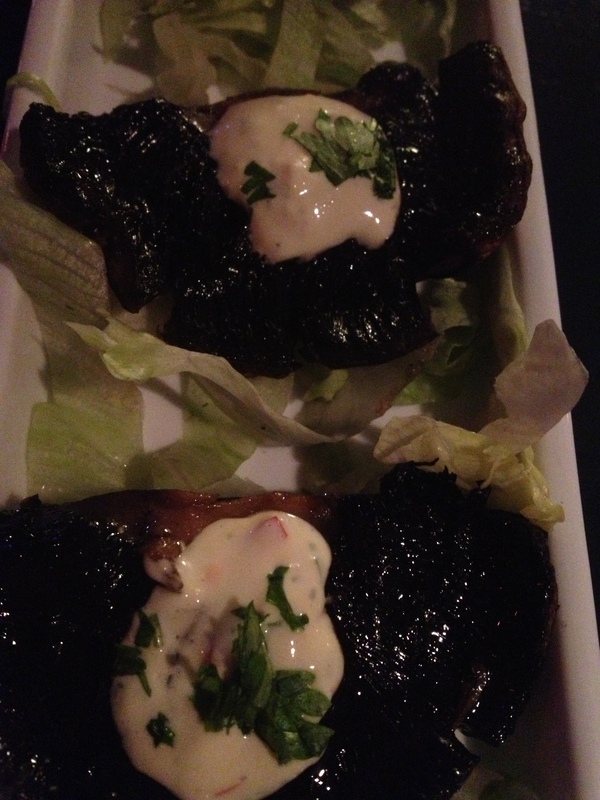 The venue is centrally located, with safe parking, and its food and beverages are very reasonably priced. POSTSCRIPT 29/5: We received this feedback from Derk Blaisse at 10h00 this morning, a true professional: ‘Thanks for your fantastic review, highly appreciated. It was good to see you again’. POSTSCRIPT 30/5: The stage at The Crypt looks less glitzy, with Ike Moriz’s branding lights having been removed. 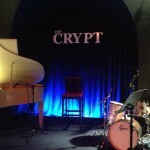 The Crypt Jazz Restaurant, St George’s Cathedral, 1 Wale Street. Tel 079 683 4658. www.thecryptjazz.com Twitter: @TheCryptJazz Tuesday – Saturday from 12h00 – 24h00. Cover charge of R45 for the jazz performances. What a fabulous evening it was!